I love their sweet faces! We were on vacation in Oregon in October 2014, and were trying to squeeze in as many farm tours as possible (between hiking trips and the rain!) 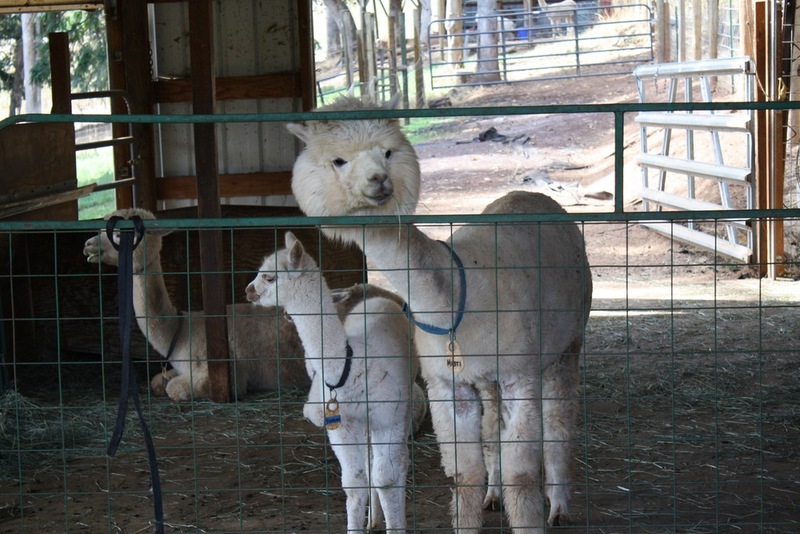 I'd been to a llama farm before as a kid, but hadn't been around alpacas before. As this article notes, alpacas are not llamas! These little guys were super-friendly, curious, and welcoming. I wanted to buy one but heck--would my HOA understand? I doubted it. They're beautiful creatures, easy to raise, and provide fiber for yarn each year over the course of their 15 to 20-year lifespan. Whenever we get around to buying a farm, these little guys are going to be living in the barn! The yarn shop, Foothills Yarn & Fiber, was a lot of fun. I'd just gotten into knitting that summer, so I spent a long time picking out yarn for various new projects (all scarves, as it turned out. My knitting proficiency never progressed beyond the scarf-making stage!) They sell some of the fiber that they raise right there on the farm, as well as yarns from other sources. I picked up some baby alpaca yarn that was butter-soft to the touch. Cascade Alpacas of Oregon was a fun stop on our tour of the Hood River Fruit Loop, and it was a great introduction to the world of alpaca raising. If you're out that way, be sure to stop by!